My third Rush purchase, after buying 2112 and A Farewell to Kings, Caress of Steel showed me an early version of 2112, a proto-type of it; similar structure on the songs format. 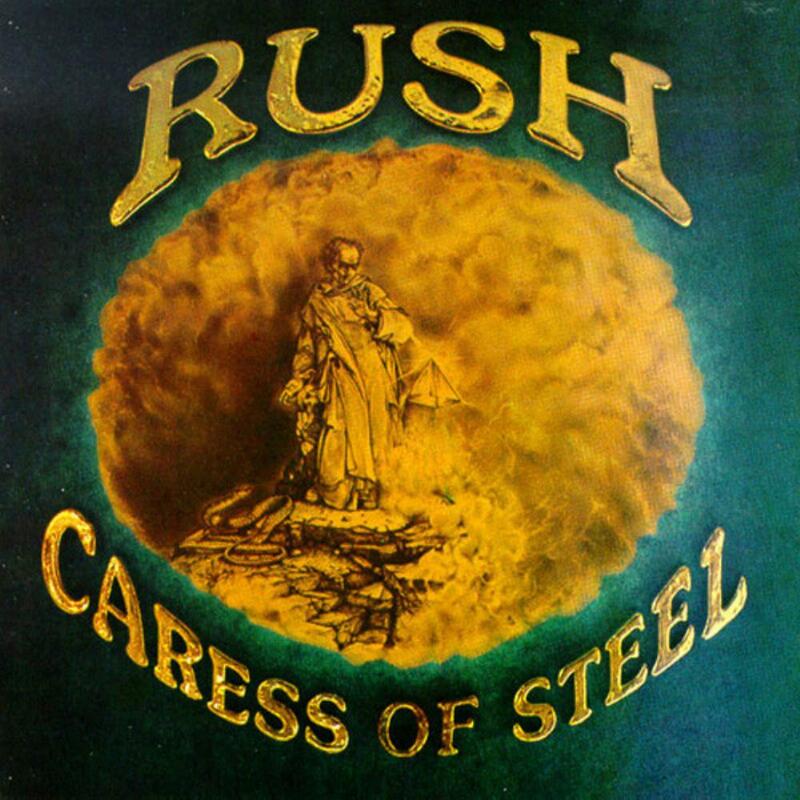 Caress of Steel showed Rush fans a change on direction, bringing an almost 20 minutes epic thus leaving the Zeppelin-influence pretty behind; with this album and the next one, Rush managed to move further to the Prog territory that the band would be known-of with later releases. This album is often rejected by Rush fans due to the loose conection between the different parts of The Necromancer and The Fountain of Lamneth, both songs which showcase some of Rush's most creative ideas, however they didn't manage to make them as succesful as they would with 2112, hence why one became popular and the other not. The Necromancer demonstrates a solid three part song, in which each part shows Rush's characteristics in making long songs. Part 1 shows a haunting and spacey Rush with a excellent climax, similar to that middle part from By-Tor and The Snow Dog from their previous; Part 2 shows Rush heavy signature, with powerful drumming, great melodic bass playing and some fiercful guitar solos; Finally Part 3 shows Rush's acoustic up-lifting side, with a quite melancholic melody in which will finish with a fantastic emotional guitar solo. The Necromancer is probably one of Rush's finest Prog songs in the creative point of view, while on the musicianship side they would later shine on epics like Cygnus X-1 or instrumentals like YYZ. The Fountain of Lamneth has a bigger set of characteristic compared to The Necromancer, which will make it obvious, that all of these characteristics won't shine as good as in The Necromancer did. Yet, this one shows a bit more of virtuosity and complexity, which will be one of the basics for Heavy Prog, to be more specific, for Rush later epics. This song is the obvious route which Rush would take to make the famou heavy epic, 2112. Pittily at this stage Rush wasn't that capable of connecting seperate parts, and as a result many fans rate it low. I simply find it spectacular, despite the flaw of being a bit loose, even sometimes better than 2112, since 2112 has a obvious heavy-light-heavy-light structure, The Fountain of Lamneth varies more through gentler rock parts and more interesting passages than in 2112 overall. The three songs left are typical Rush hard rock tunes in the likes of side two from 2112 and of Fly By Night, however oddly enough the ones in Caress of Steel seem to be the weakest of the bunch, thus making another flaw on the album. 4 stars: Overall one of Rush's most creative albums despite the stated flaws.